Speed, accuracy and only the best quality – FrameMac’s key to success. Roll forming machine manufacturer FrameMac’s focus is on continuous product development and providing the best quality equipment to domestic and international clients. The thriving company has an exciting future ahead in the fast-growing Chinese market. 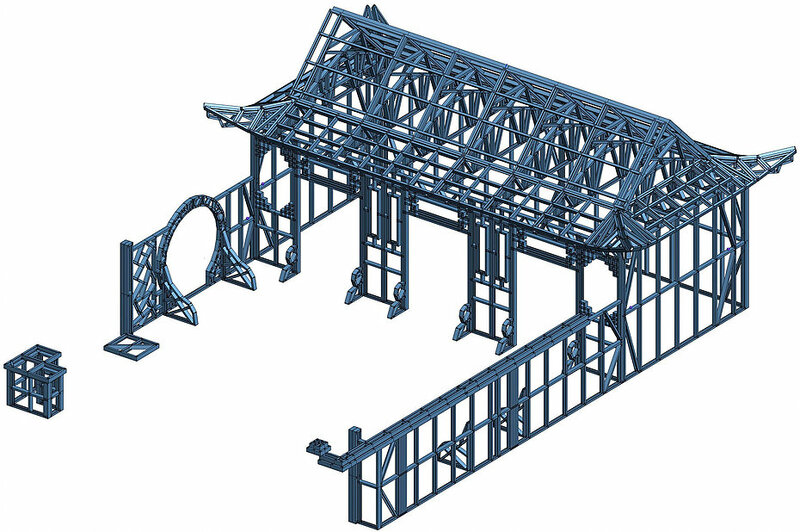 FrameMac is a Chinese company specialising in light gauge steel (LGS) framing. They are known for their cutting-edge technology, fast processing pace and stable production. The company is located in Foshan City, south of Guangzhou, where it caters to clients worldwide. General Manager Li Zhiping has been working in the industry for 20 years, from a workshop worker to factory manager and his current position, and there is no slowing down for him. Mr Li says he even uses his free time to study advanced machine designs to get new ideas for FrameMac equipment and to keep the company ahead of its competitors. FrameMac has a strong footing in the market, which Mr Li credits to the great quality, production speed and accuracy of the equipment. – We focus on equipment quality, which reduces customers’ maintenance time and fundamentally protects their interests, he says. – Another important factor is the good executive ability of the FrameMac team. From early on, FrameMac was sure that Vertex would be the best choice of design software for their product. The companies have now been working together for four years and the partnership has been mutually beneficial. According to Mr Li, partnering with Vertex was an easy choice because Vertex Building Design software was already familiar and well accepted in the Chinese building industry. – Working with Vertex has enabled us to achieve a satisfactory share of the Chinese market. We have quickly gained market visibility and laid a good foundation for the future, Mr Li says. The market for LGS structured residential buildings is continuing to grow in China, which means great opportunities ahead for FrameMac and Vertex. FrameMac has also received positive feedback from their clients regarding Vertex Building Design software. Vertex BD has been deemed intuitive and especially suitable for designing buildings with a complex structure. Mr Li says their clients are also pleased about the individual, ongoing technical support provided by the Vertex Australia team. – Vertex is the right choice, Mr Li sums up.